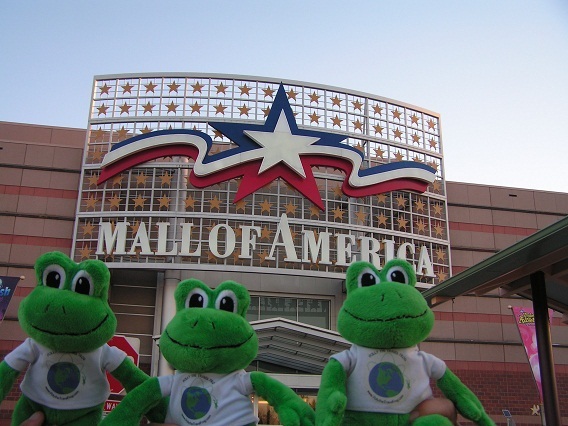 Recently Polly #3, Polly #14, and Polly #32 went shopping at the Mall of America(MOA) in Bloomington, Minnesota. The MOA’s claim to fame is that it’s the second largest mall in North America and the largest mall in the United States. The West Edmonton Mall in Edmonton, Canada reigns supreme in the category of mammoth malls. MOA is home to four major departments stores that anchor the corners of the massive shopping area that hosts over 500 stores and restaurants. Nickelodeon Universe holds center stage and the theme park can be viewed from all angles and from all levels as you wander around. If you can believe it, MOA is also home to the Underwater Adventures Aquarium! To take a break from shopping, we decided to eat dinner at the Bubba Gump Shrimp Company. Before going into the restaurant, we wandered around the gift shop where all of the gifts related to the theme of the movie Forrest Gump. 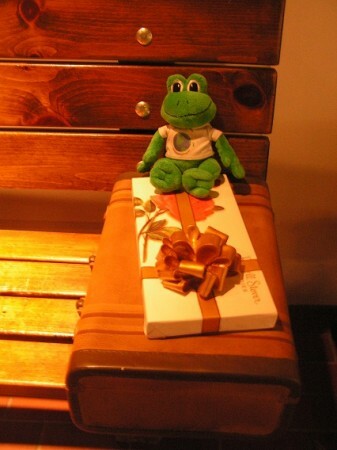 Remember, “Life is like a box of chocolates…”. The atmosphere was fun, fun, fun and the food was great! We ordered a delicious fish sandwich platter, “I’m Stuffed Shrimp”, and “…Of Course We Have Scampi.” Everything was fantastic! 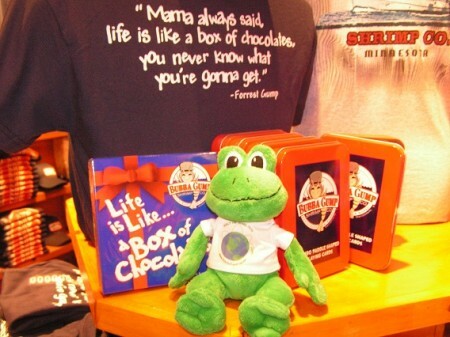 Forrest Gump's Box of Chocolate! Do you remember this scene from the movie? I bet you didn’t know that Polly was actually in the original film, but unfortunately her scene was cut out! Of course I’m teasing, but I think Polly is definitely headed for Hollywood someday! Don’t you think she’ll be great! Wow, I’ve always wanted to visit the Mall of America. I can’t believe Polly #3, Polly #14 and Polly #32 made it there before me! Pssst… There’s only one “t” in Minnesota. Time to break out the magic eraser! Thanks for the spelling tip Polly #5! I fixed the problem! 500 stores!!! Wow, it would take weeks to see them all! Hmmm…I don’t know. I have the inherent “guy gene,” and I’ve never shopped for more than a half-hour in my life. I think I could do the Mall of America in an hour–unless they have lots of fishing shops and an LL Bean store there. Then it might take a while. 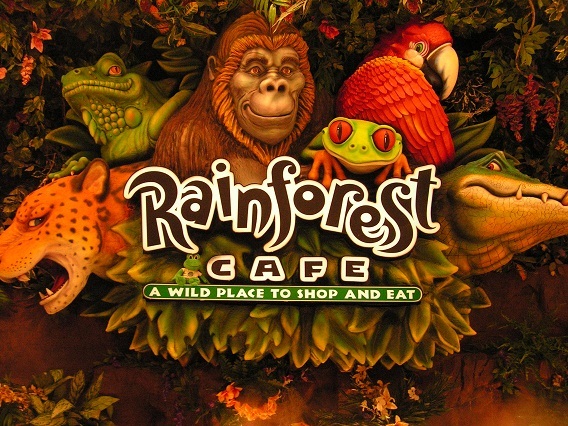 You could go to the Mall of America to eat! The choices are staggering! So many stores, so little time!